Visit of the 81st Governor of the state of Vermont, USA! Providence Day School came to our school for an academic visit. The Principal of our school, Mr.Zhang Xuefei, Ms. Jing Cui, vice Principal, and Mr.Trevor Wattrus, Academic Director of our American High School Department, welcomed our visitors. Providence Day School, located in Charlotte and founded in 1970, is one of the best schools in North Carolina, with an exceptional Ivy University acceptance rate. After touring the campus, everyone sat down to have a discussion in the conference room. 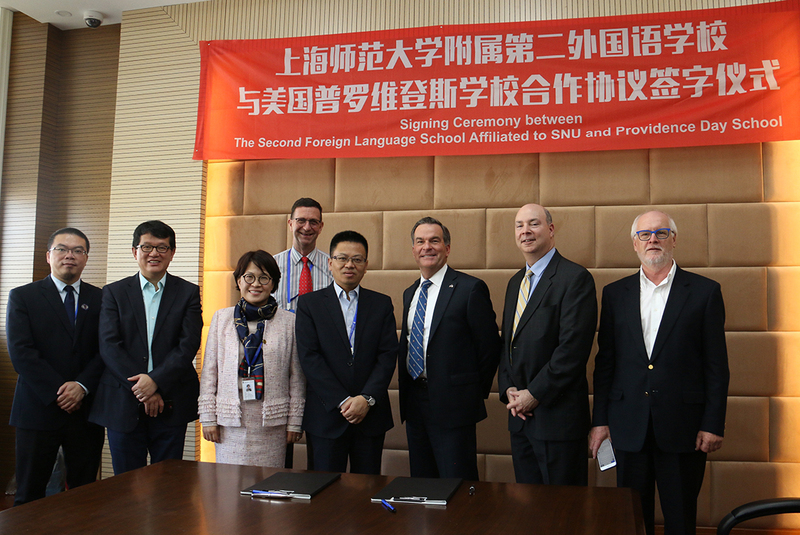 Afterwards, they signed a student exchange and cooperation agreement, thereby laying a solid foundation for our students to have the opportunity to experience diverse cultures and cultivate an international vision.